Al-Wisal is a broadcast radio station from Muscat, Oman. They broadcast many different kinds of Arabic Online Music, Arabic songs, Arabic Nasheed and so on. They also broadcast the rectification of the Holy Quran and many other exclusive programs. 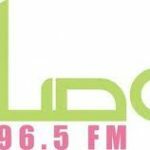 Al Wisal is a good Arabic Online Radio Station.